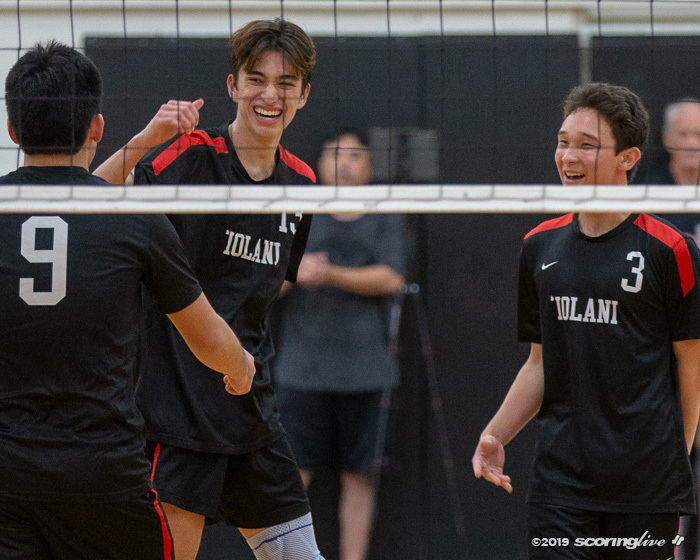 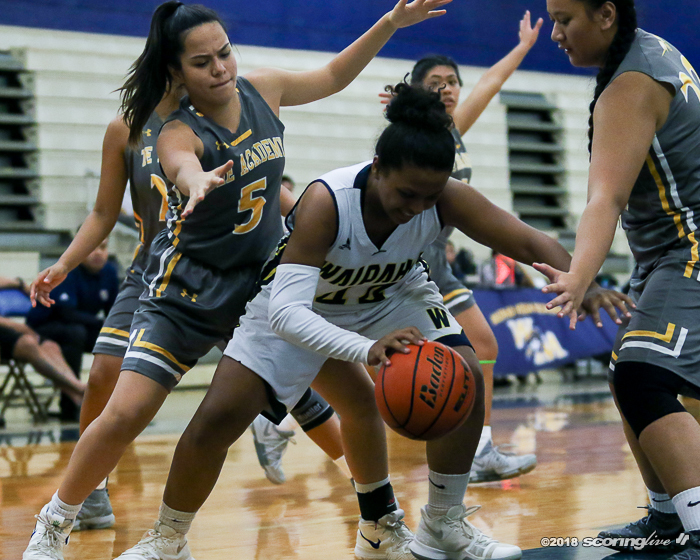 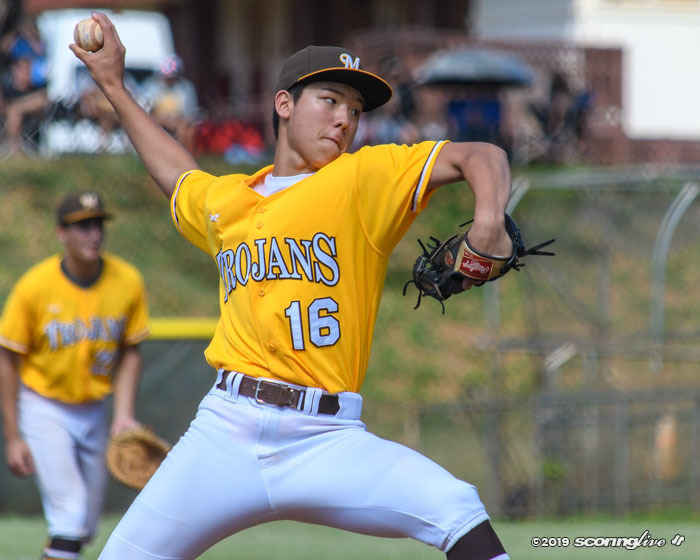 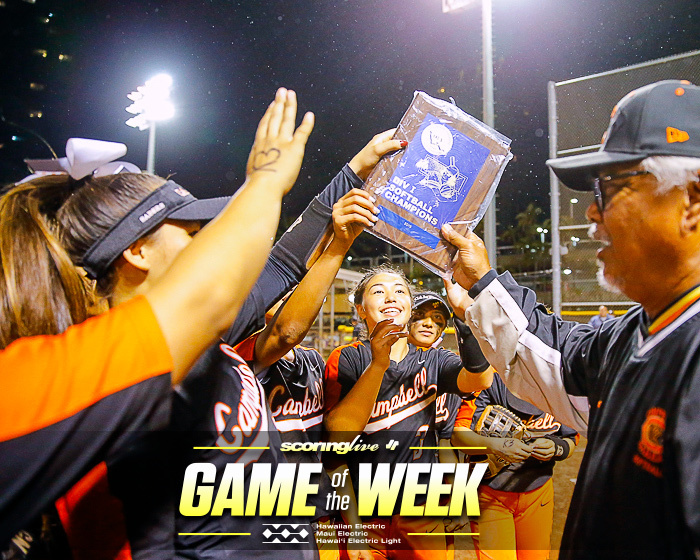 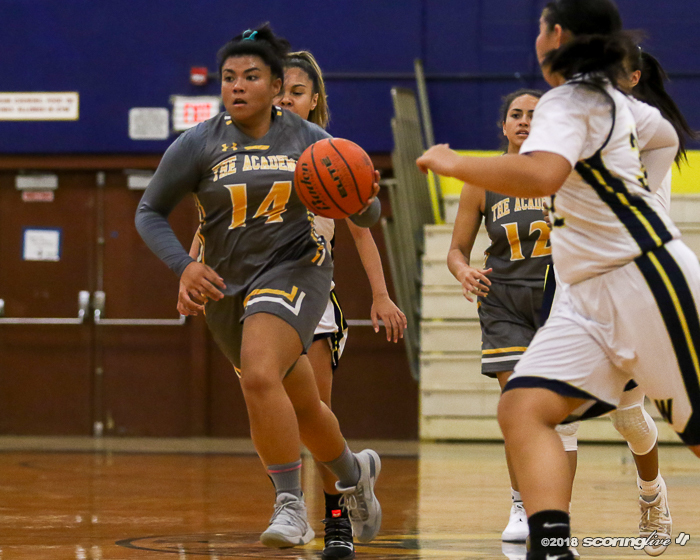 Visiting Sacred Hearts struggled against Waipahu's press early on, but was able to cash in on the host's miscues to earn the win. 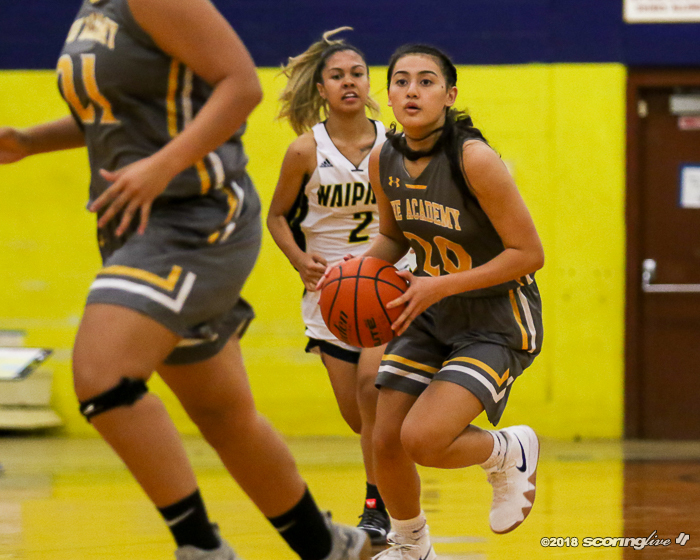 The Lancers recorded 17 steals and scored 28 points off of turnovers to earn their second win of the year, 58-40, despite committing five more turnovers (34 to 29) than the Marauders Tuesday night. 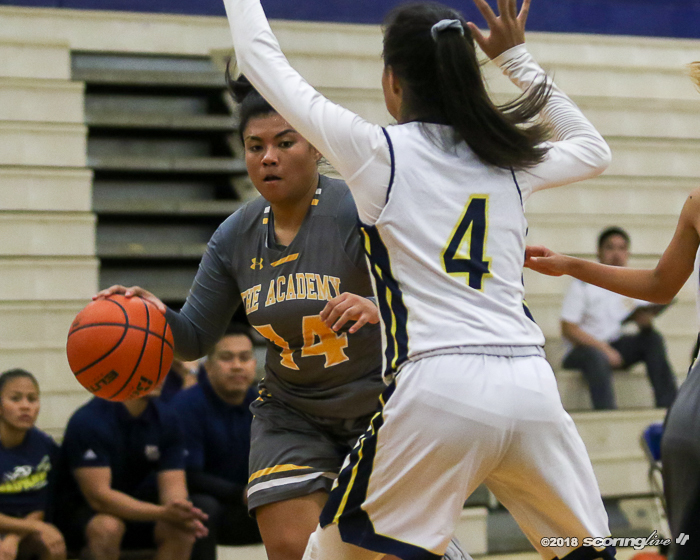 Three different players scored in double figures for Sacred Hearts (2-0), led by Te'Hiwa Medeiros' 14 points and seven rebounds. 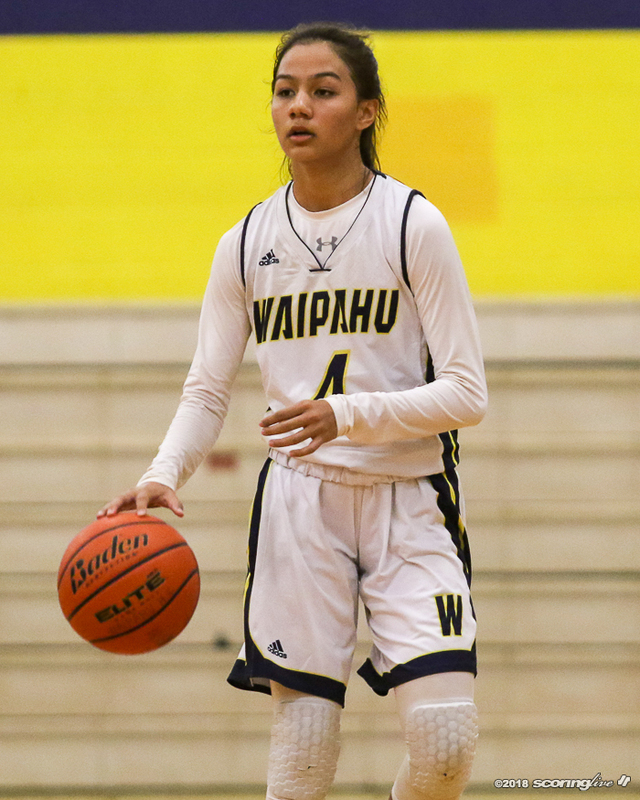 Kailyn Kupau knocked down two treys and finished with 13 points and seven steals and Dallas Martinez had a solid all-around game with 11 points, seven rebounds and seven assists. 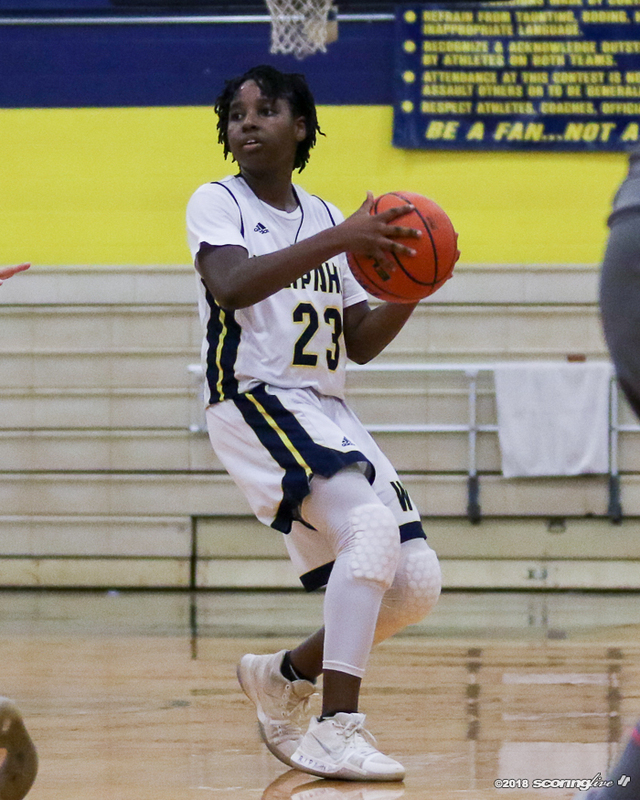 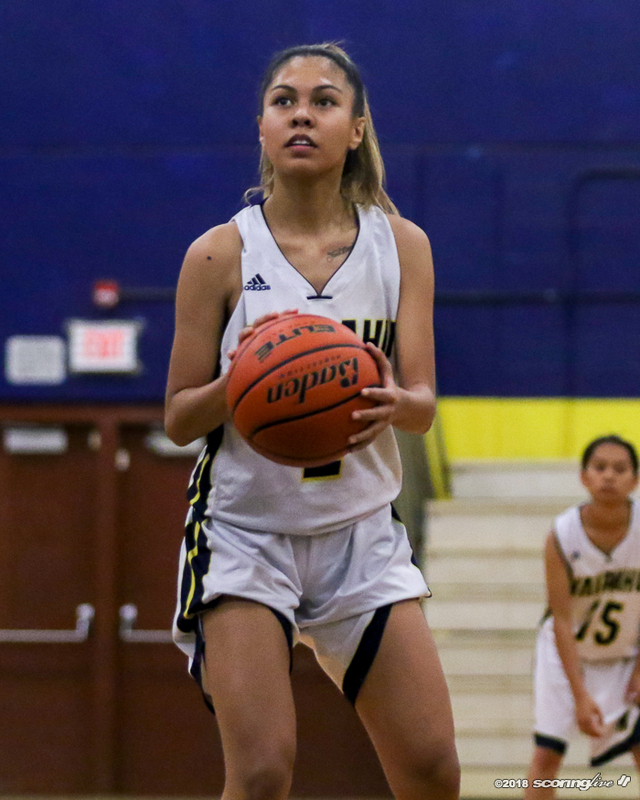 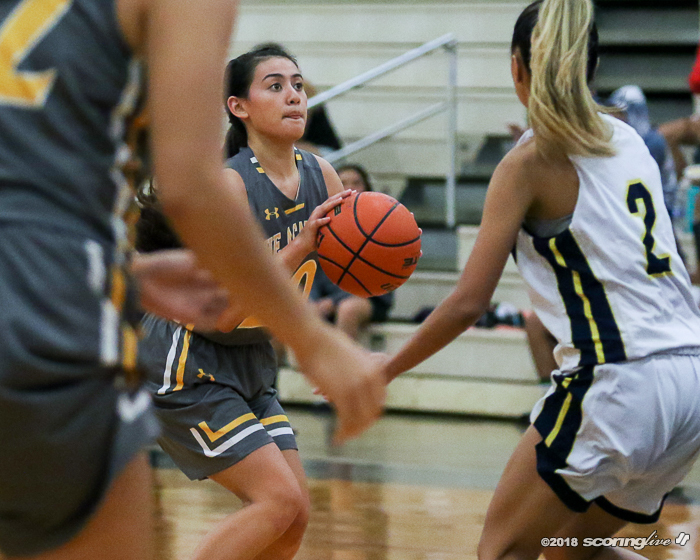 The Lancers held an early 5-1 advantage, but the Marauders (0-1) were able to patiently climb their way back to take a 8-7 lead after J'Anne Stewart-Neish split a pair of free throws. 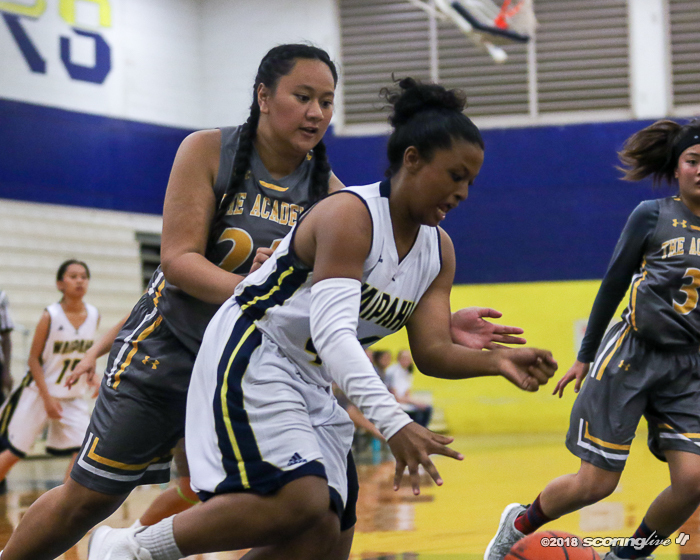 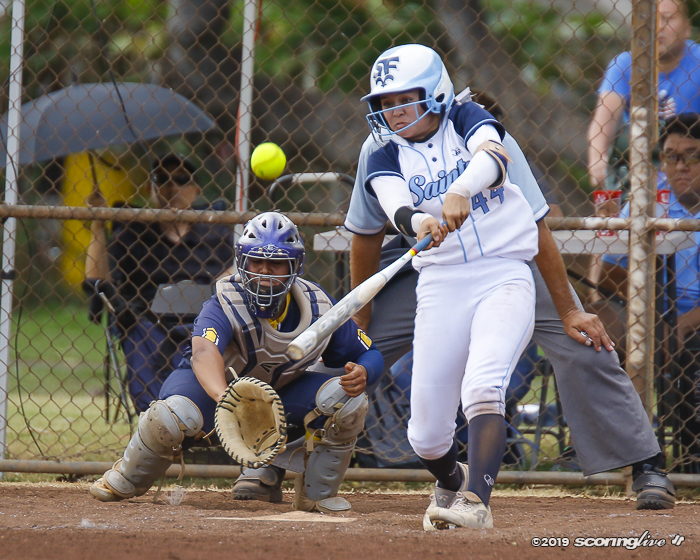 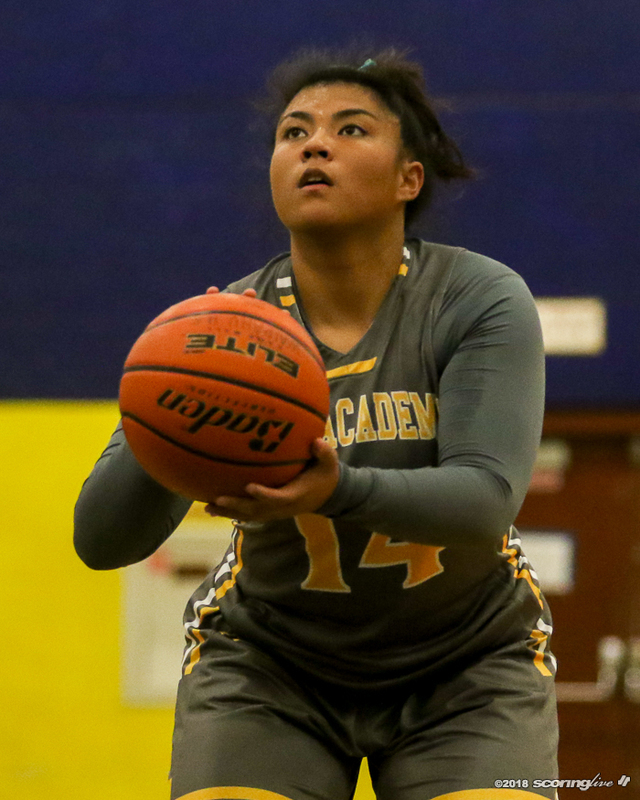 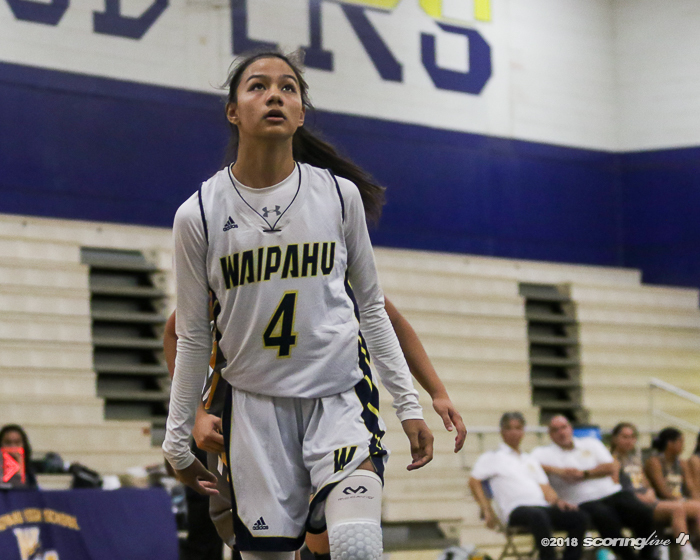 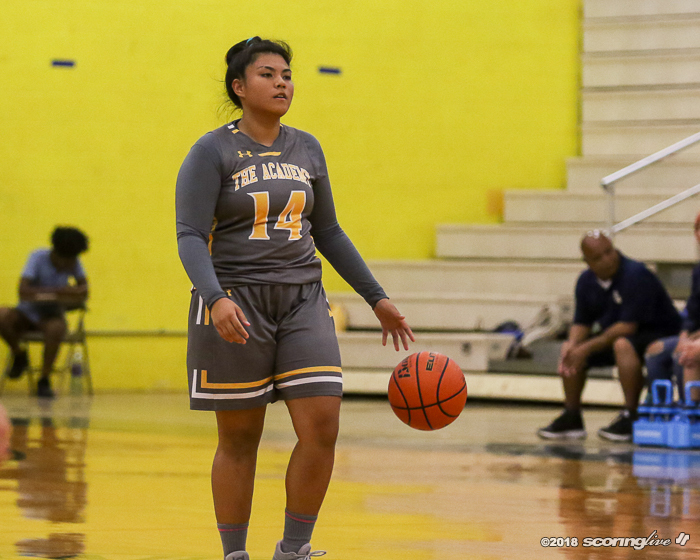 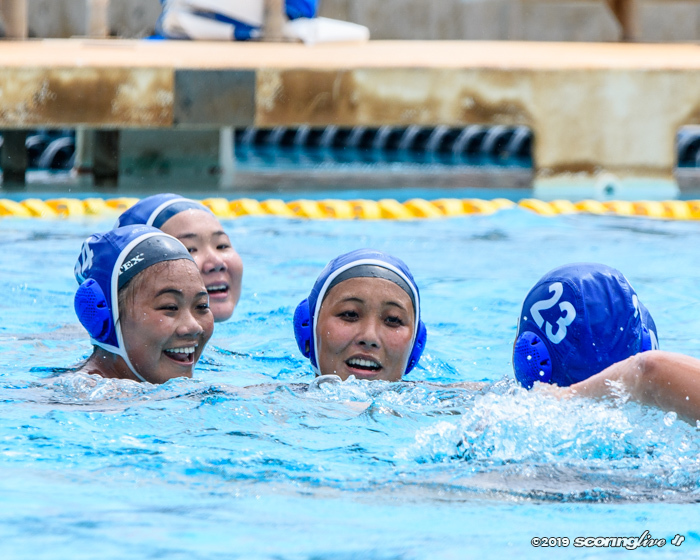 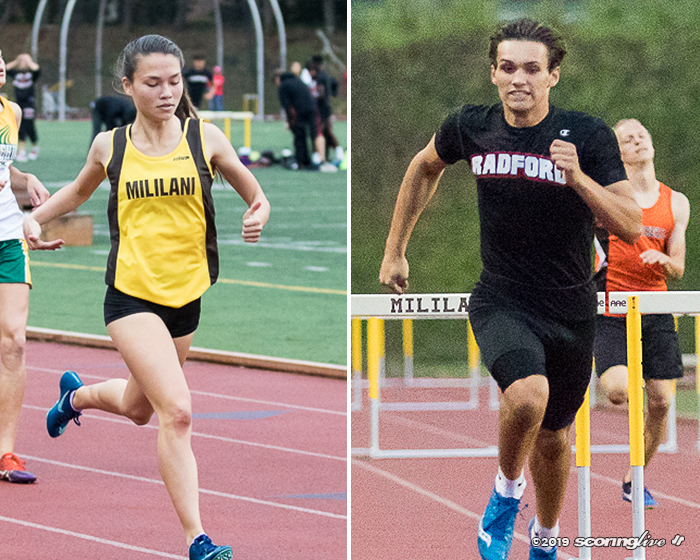 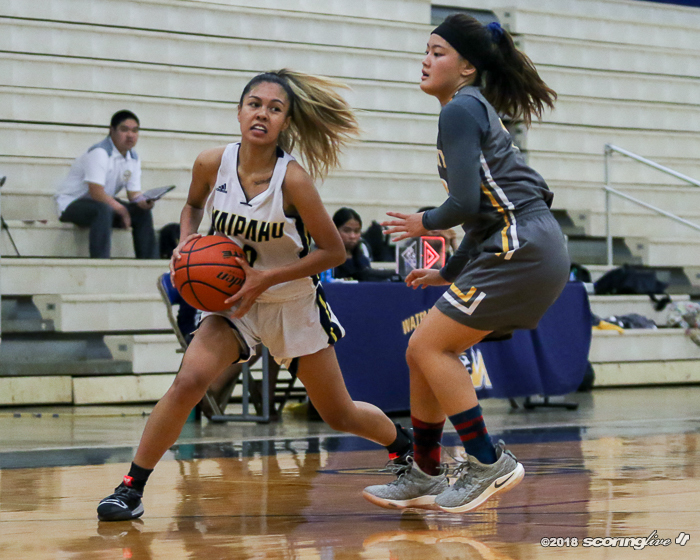 However, Sacred Hearts went on a 7-0 run to close out the final minute of the first quarter thanks to two putbacks by Medeiros and a steal-and-score by Sade Mizusawa with under 10 seconds to play in the period. 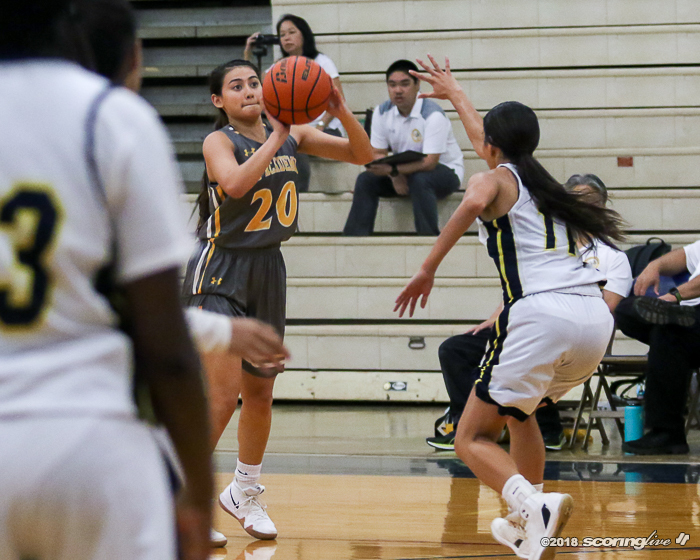 The Marauders whittled the Lancers' lead down to six throughout the second quarter, but double bonus opportunities helped Sacred Hearts close out the final 2:10 of the first half with a 9-1 run to make it a 35-21 game at the break. 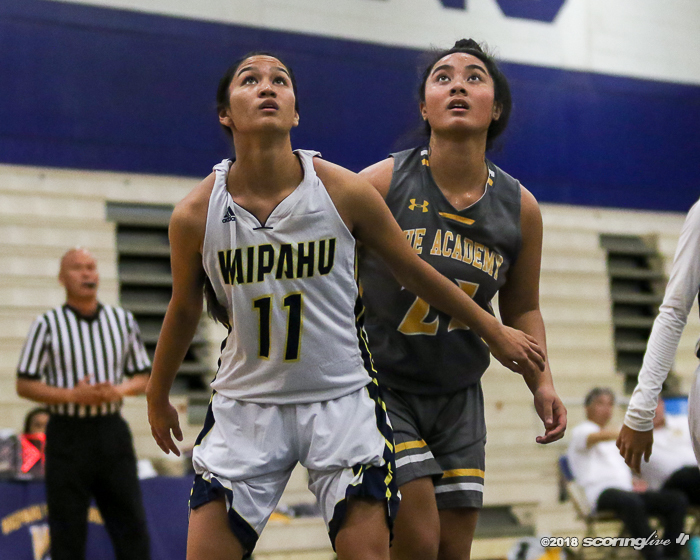 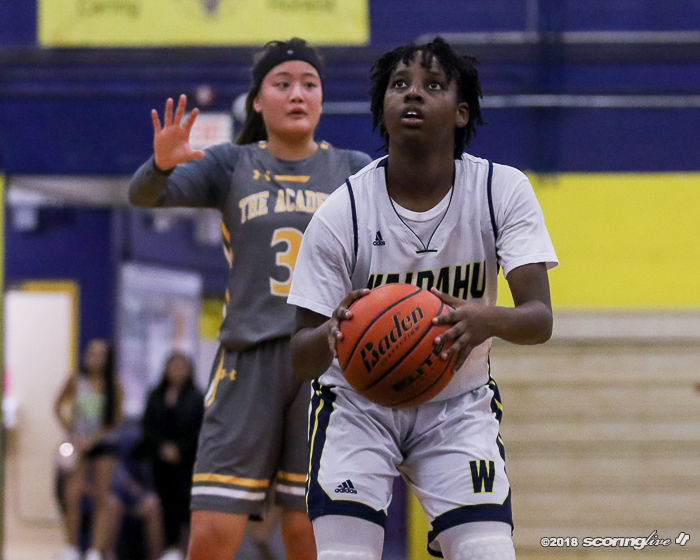 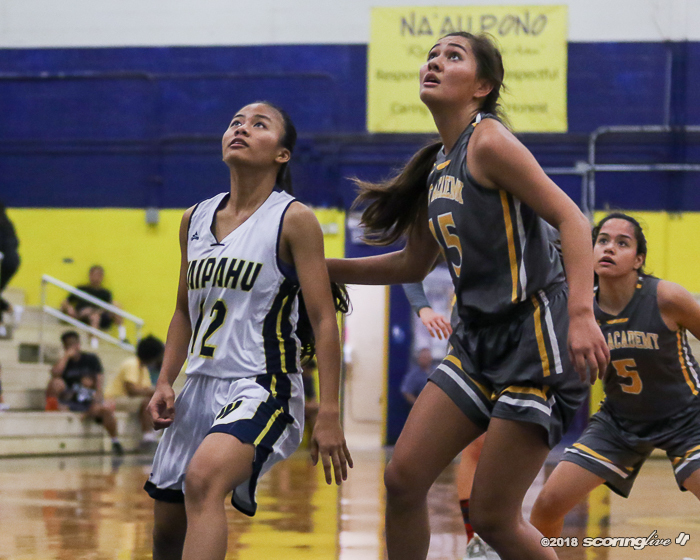 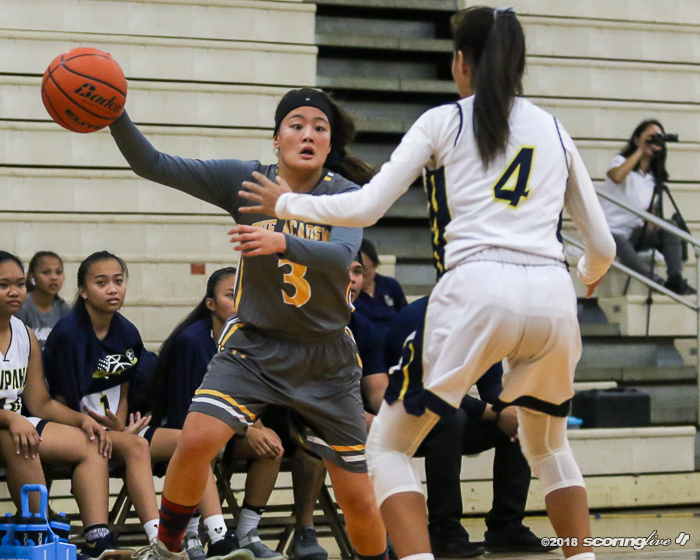 Sacred Hearts started to heat up from beyond the arc to start the second half, scoring its first nine points on three triples. 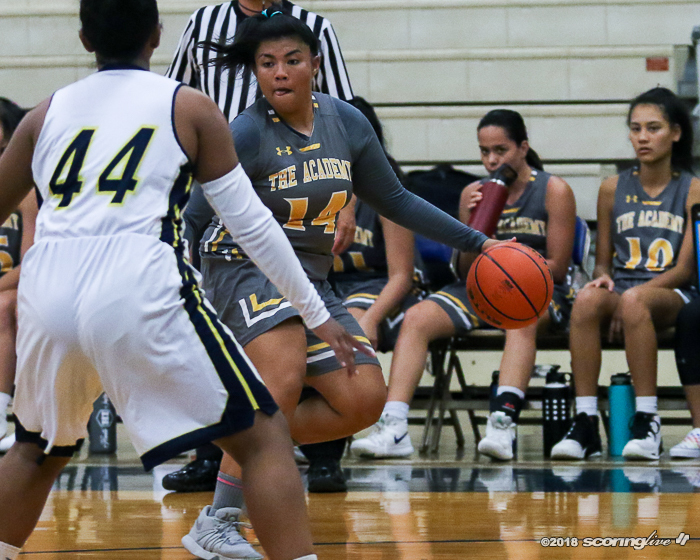 Raena Ho's trey at the 3:02 mark of the third quarter gave the Lancers' a 44-24 lead. 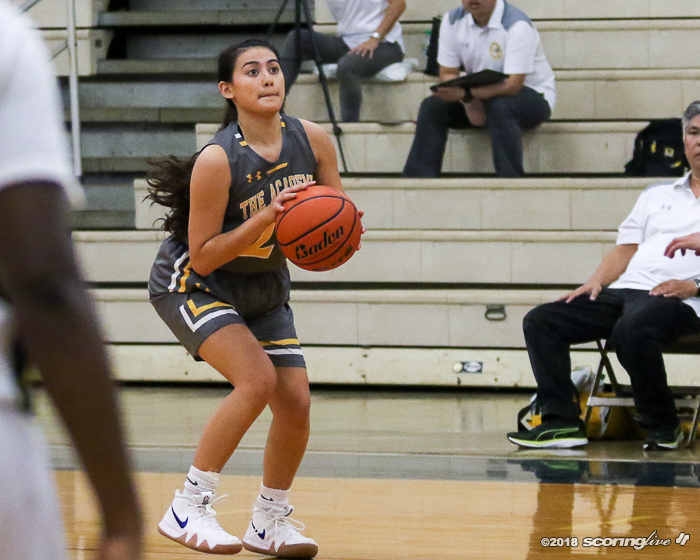 The Marauders couldn't catch up after the scoring surge and could only get the deficit to as low as 14 the rest of the way. 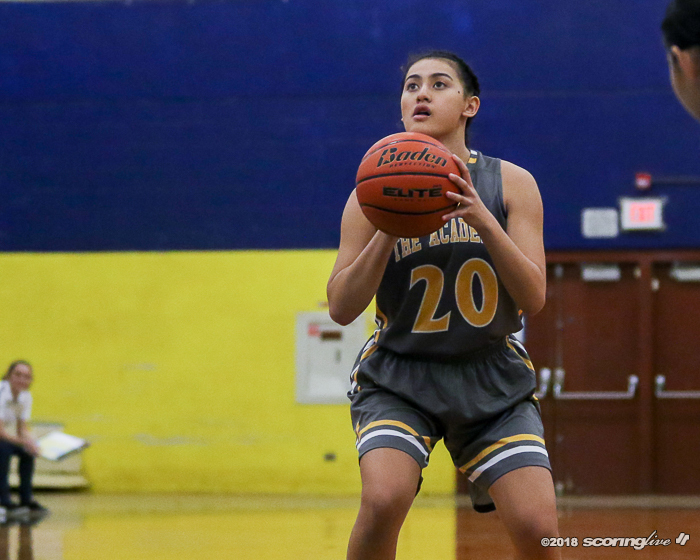 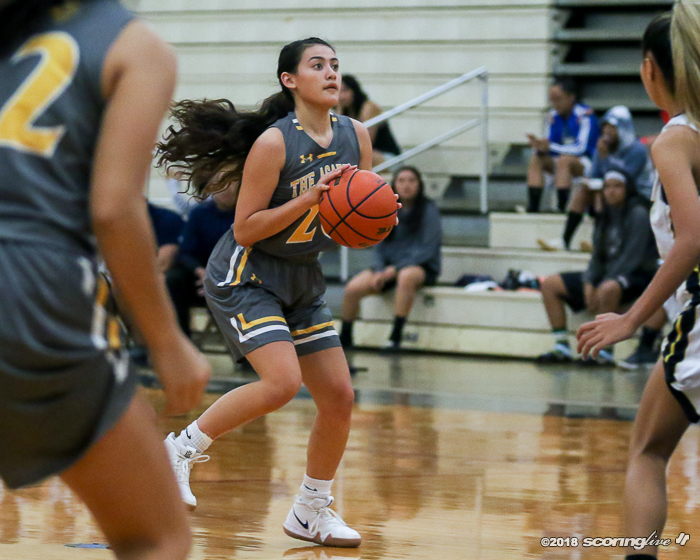 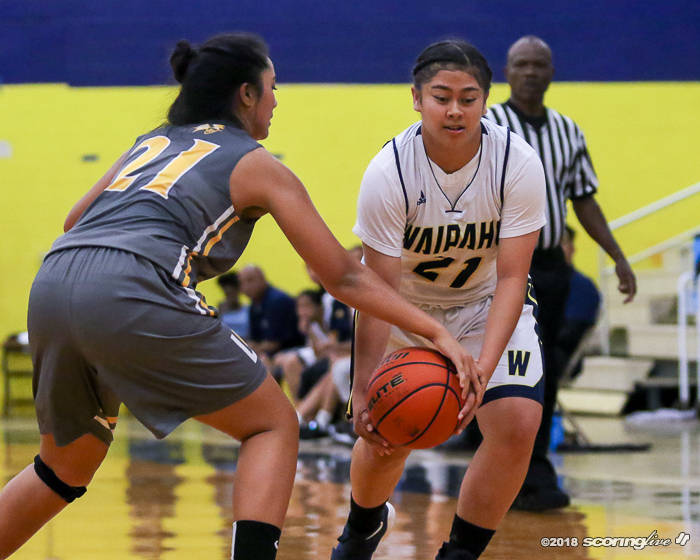 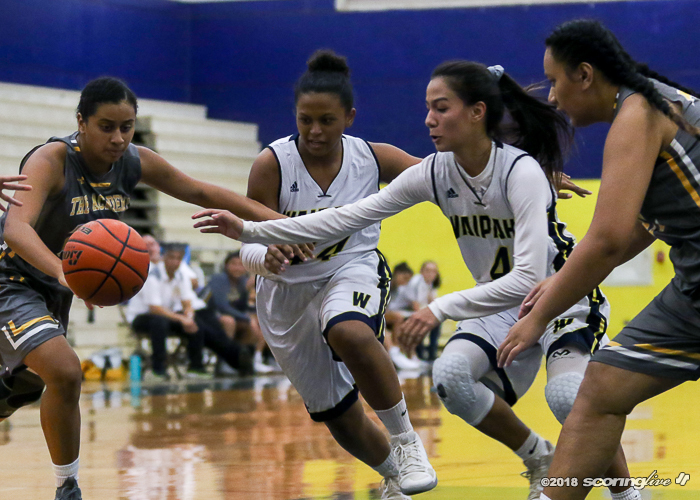 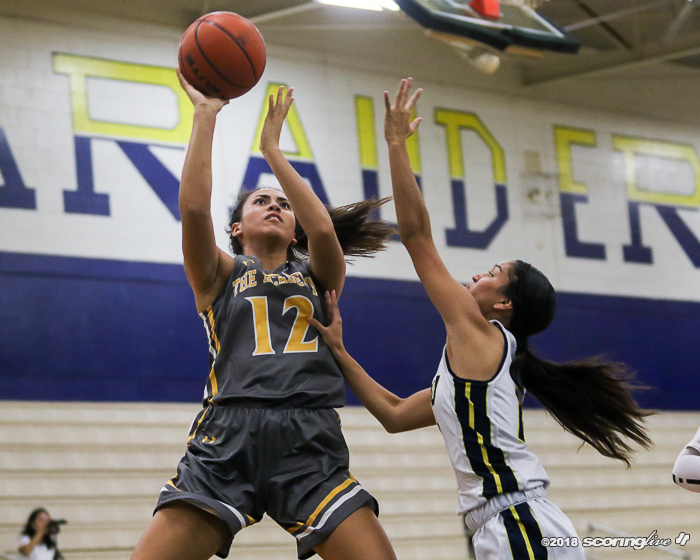 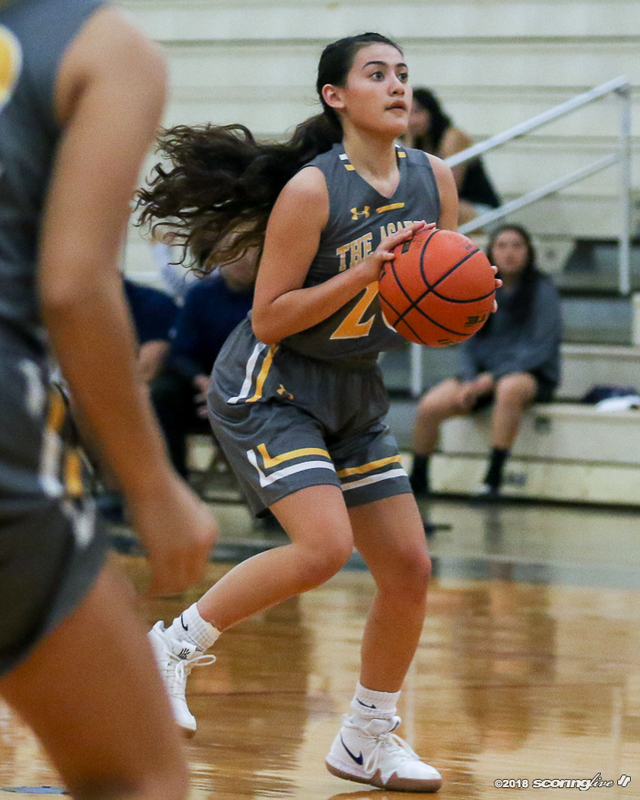 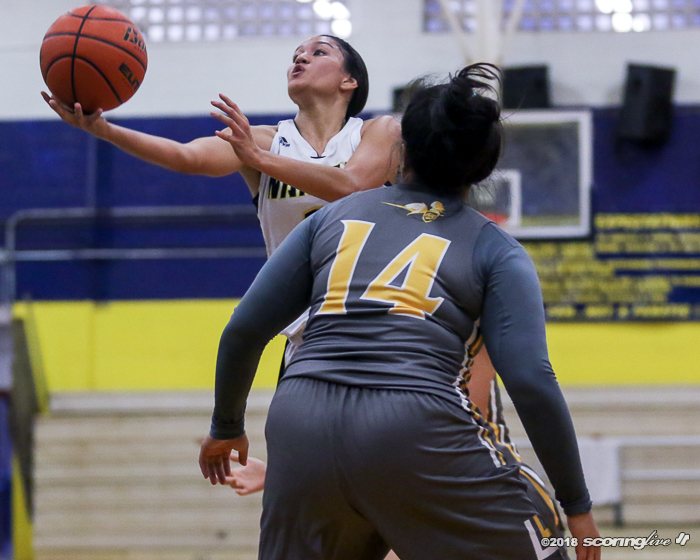 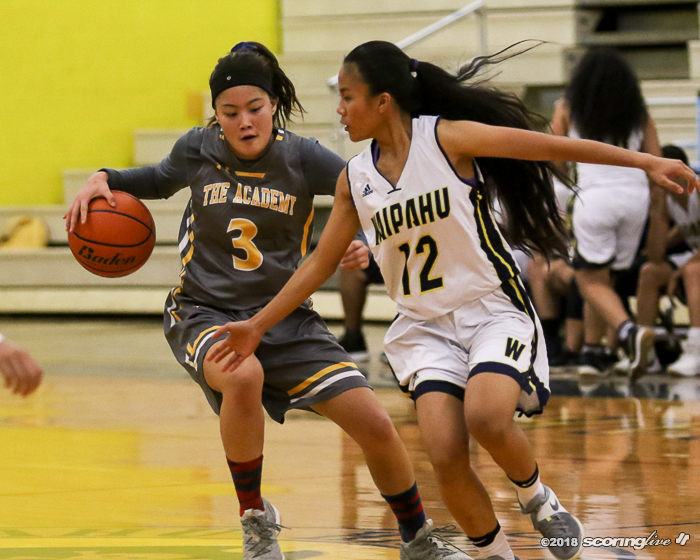 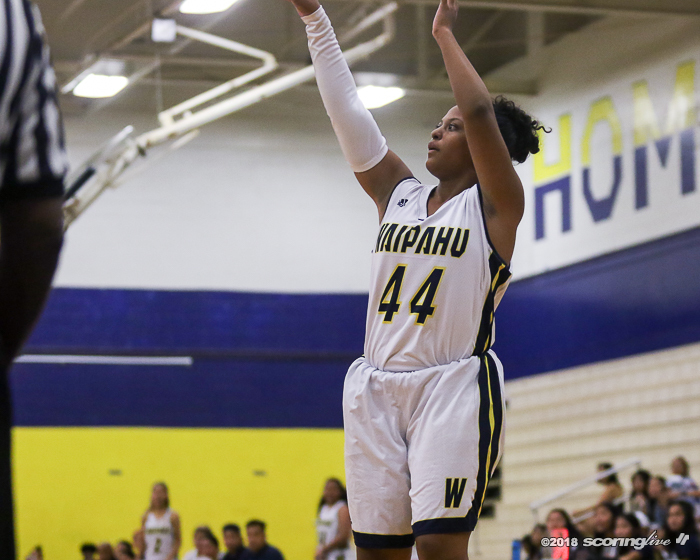 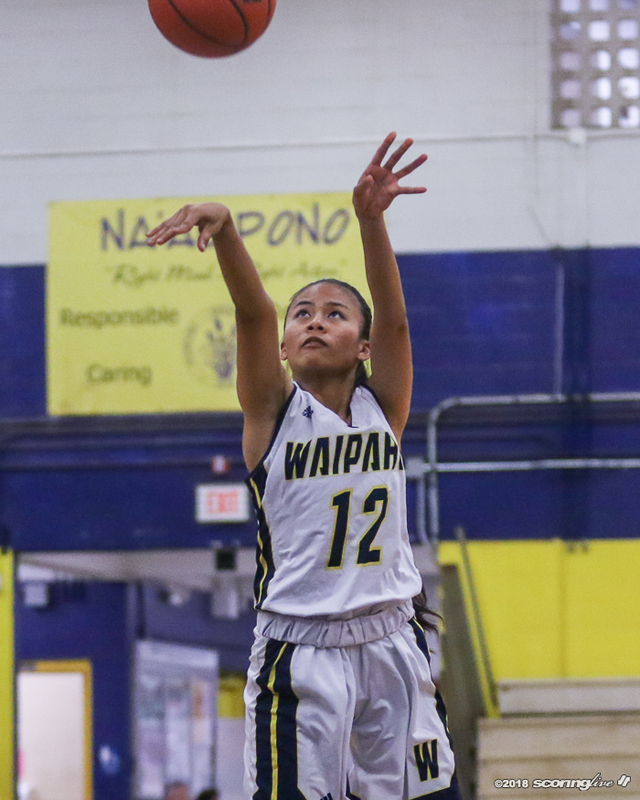 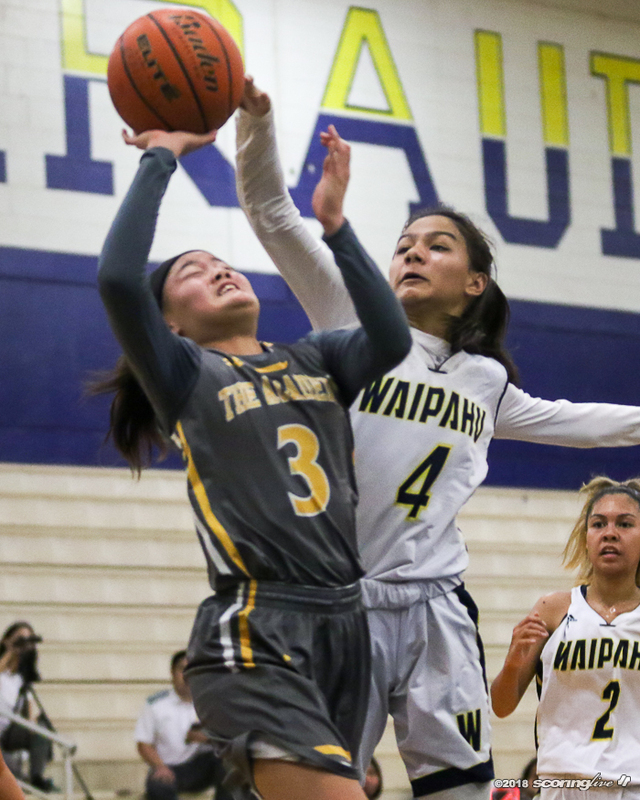 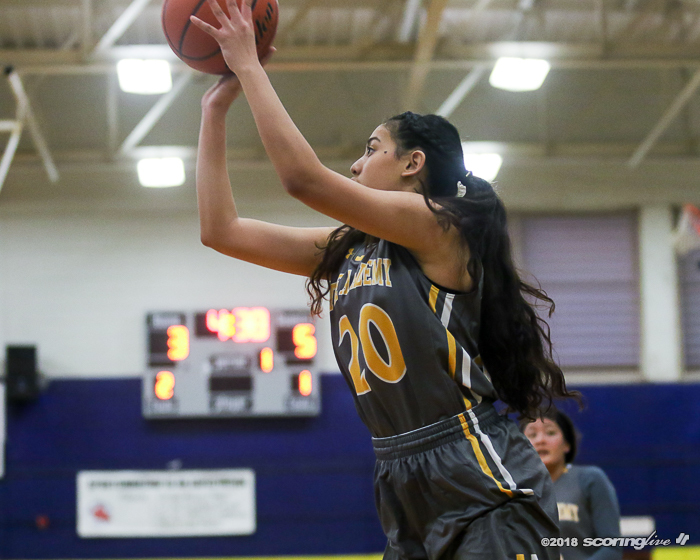 Teves Suan led Waipahu in the loss with 11 points. 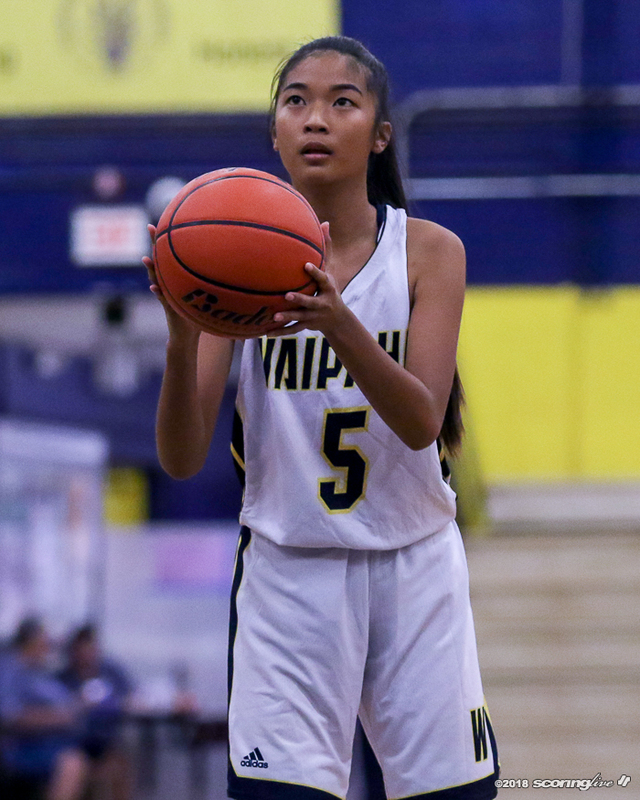 Elizabeth Kanaulu added seven and Jocelyn Saribay had seven more points off the bench.